You would think that people read reviews before they choose what book to read. Well, not me. I read the reviews of a book only after I have read it, because I’m so curious to see what other people think about it. 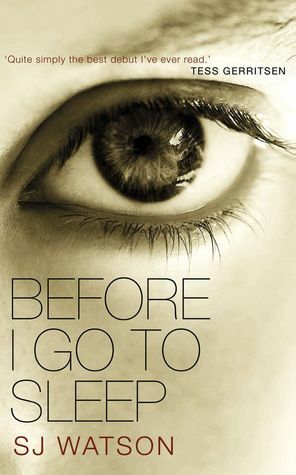 Usually, this only happens with books I absolutely loved, and “Before I Go To Sleep” is one of them. It has mixed reviews on Goodreads, but most of them are positive, if not raving. I’m going to tell you now that mine is going to be raving because I loved, loved, loved this book! However, I do agree that those who gave it only 1 or 2 stars have a point. There were unrealistic and rather forced situations and coincidences, but let me tell you this: “Before I Go To Sleep” is a page-turner. After I finished reading it, my first thought was: this is how you write a best-seller. I am willing to leave all the unrealistic aspects aside, even completely forget about them, because this book kept me engaged until the last page. First, it is based on an interesting premise: what if you woke up every morning with no memories of the last 20 years of your life? What if every day you had to learn that you are in your forties, not twenties, that you are married, and you suffered an accident that prevents you from keeping new memories for more than one day? Sounds scary, huh? Christine wakes up every morning in bed with a man she doesn’t know, then spends her entire day learning about herself and her life, and when she finally thinks she understands her situation, she goes to sleep knowing that her brain will reset during the night, and the next morning she will go through the same process. No yesterday and no tomorrow. She only has today. 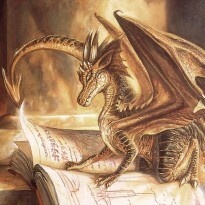 The main idea of the novel gives so many possibilities for the action. And because every time I read a mystery/suspense I try to find out the secret before the characters, while reading this novel I took into consideration every single possibility I could think of. Of course, I eventually guessed because, after all, the novel is written after a well-known recipe that involves someone who is not who we think he/she is, and a major twist at the end, that will turn everything we thought we knew upside down. When I read this kind of novels, my principle is: don’t take anything for granted. Somehow, this is fun because I turn the reading into a game, but, on the other hand, it’s unsatisfactory, because the ending has fewer chances to surprise me. So, I won’t say that the ending of “Before I Go To Sleep”, the great revelation, surprised me, as I had taken that possibility into consideration. But I sure enjoyed the ride. I think the strongest point of this novel was the unreliable narrator. I love unreliable narrators! They’re so fun to read and such a challenge sometimes. It was interesting to follow Christine as she was trying to learn more about herself and her past, at the same time being perfectly aware that she was probably getting most things wrong. You get excited about every new discovery she makes, and then you have to remind yourself that it’s probably a lie. She can only trust the people around her to tell her what happened that made her lose her memory, but not all of them are trustworthy. Then, her condition makes her mix up memories with imagination. All these elements turn “Before I Go To Sleep” into an exciting read. I couldn’t wait to grab my Kindle whenever I had some free minutes to see what happened next, if the next clue would help me solve the mystery before her. I will definitely recommend this novel to everyone I know that I think will enjoy it. Reading the reviews on Goodreads, I saw that some people found it slow and others couldn’t get past the unrealistic and convenient situations. I wouldn’t say that it was slow, although there were times when I wanted things to happen faster. It wasn’t because the action dragged, but because I was eager to find out more about Christine. So no, the novel was not slow, it was just the author building up the suspense. And he did it quite well. Again, I won’t deny the unrealistic aspects of the plot, but I give it 5 compasses because it kept me glued to the pages, because it was so enjoyable and well-thought that I just didn’t care that some things were exaggerated and unlikely to happen in real life.